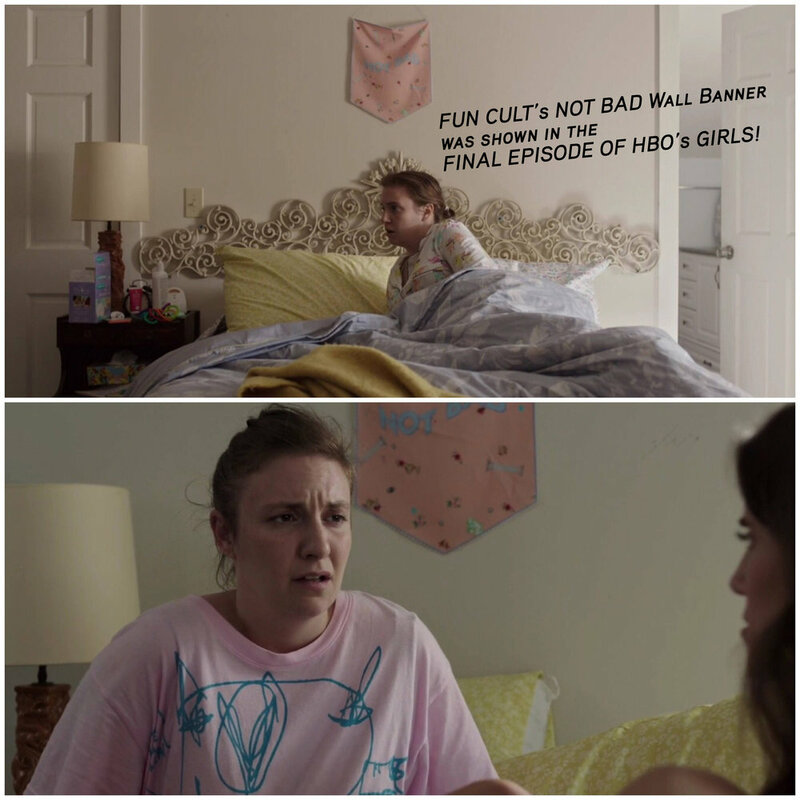 FUN CULT, as seen on HBO's Girls, on Mindy Kaling's Instagram, + in homes across the world! 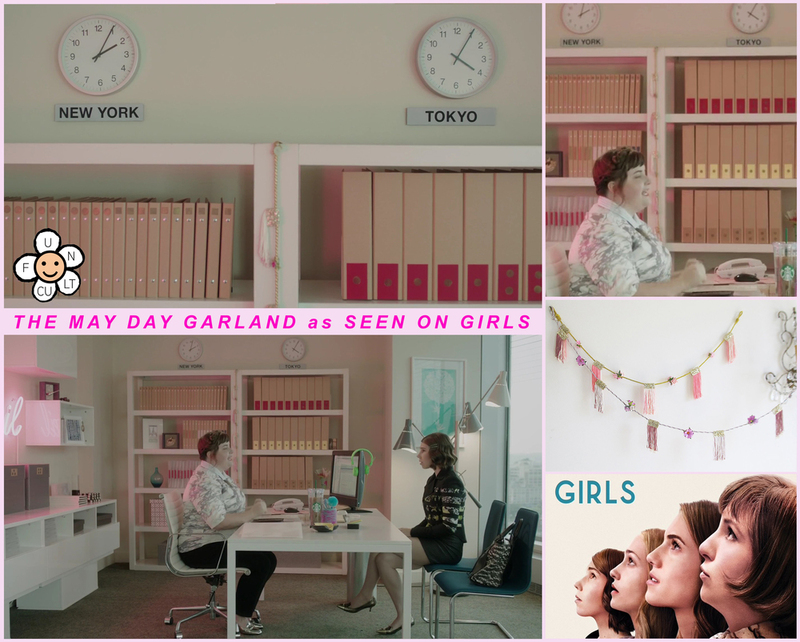 Lena Dunham's Not That Kind Of Girl Book Tour and here ////////// Martha Stewart Weddings ////////// ROOKIE (1, 2, + 3) ////////// Hello Giggles (1 + 2) ////////// LiveFAST ////////// Refinery29 ////////// Nylon 1 + 2 ////////// New York Magazine's The Cut 1 + 2 ////////// Aidy Bryant's dog Fuzz has a FUN CULT banner ////////// Mindy Kaling's face ////////// Whitney Cummings' face ////////// Buzzfeed ////////// Mollie Makes (1 + 2) ////////// Poppy Talk (1, 2, + 3) ////////// Decor8 (1 + 2) ////////// Craft Zine ////////// SF Girl by Bay (1 + 2) ////////// Lesley Arfin's home on Style Like U (shown in the video at 4:30 in and 4:30 left) also here + here ////////// Daydream Lily ////////// A Beautiful Mess (1, 2, + 3) ////////// Style Me Pretty (1, 2, + 3) ////////// Huffington Post Weddings ////////// The Green Wedding Shoes (1 + 2) ////////// Heart Handmade ////////// Apartment Therapy (1, 2, 3, 4, + 5) ////////// + many other places. 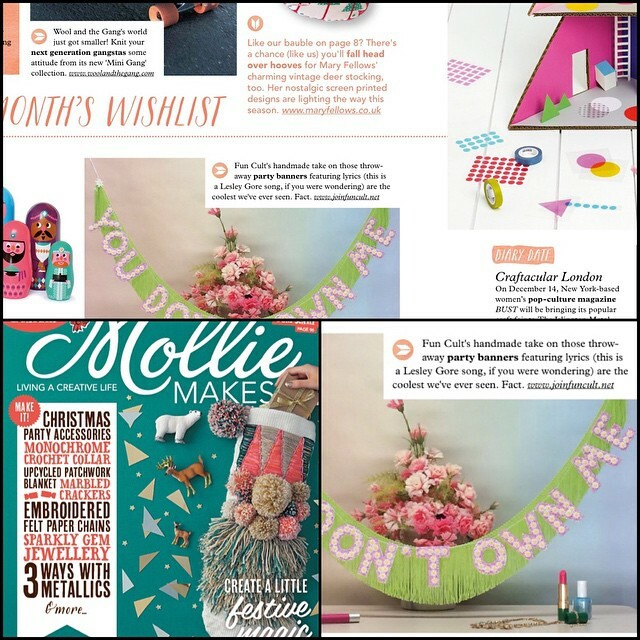 FUN CULT shoppers really know how to style their banners- visit #FUNCULTcoolcustomer on Instagram to see for yourself and get inspired! In 2010, I collaborated with my friend Anabela of Fieldguided. Together we created Summer Water, a shop of limited edition pieces designed by Anabela made with fabric designed by myself. 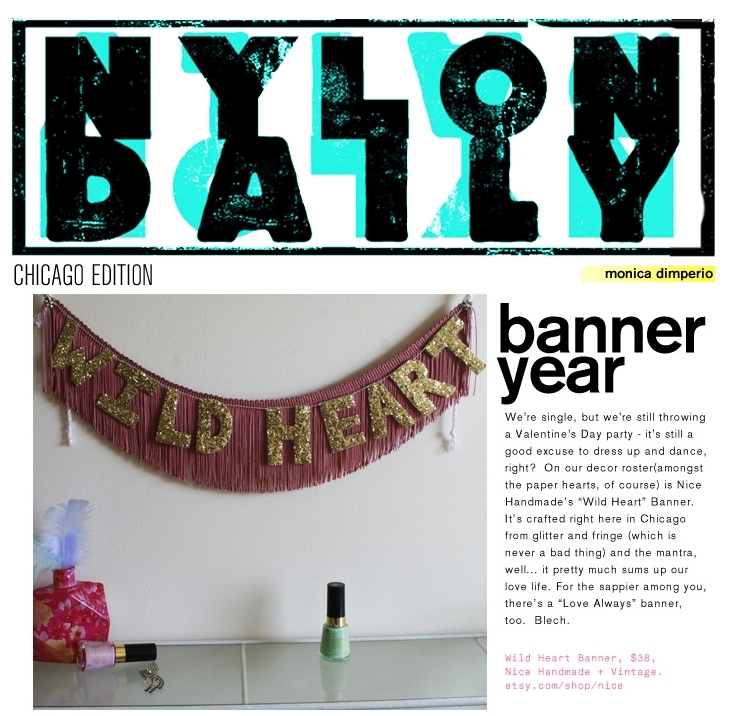 In 2007 the Mini Deer Plaques were sold at FredFlare and a part of their then annual Next Big Thing contest.